A City of Toronto partnership project that tracks bike lane traffic with Internet of Things (IoT) technology could help decide if the bike lanes stay or go, according to the project lead. Miovision Technologies, a Kitchener, Ont.-based traffic data collection and signals company, partnered with the city of Toronto in August to develop a more complete street infrastructure by tracking bike lane traffic – as well as vehicular drivers and pedestrians – on the new Bloor Street bike lanes. The new separated cycle tracks were installed in August between Shaw Street and Avenue Road after being approved by city council in May, according to the city website. 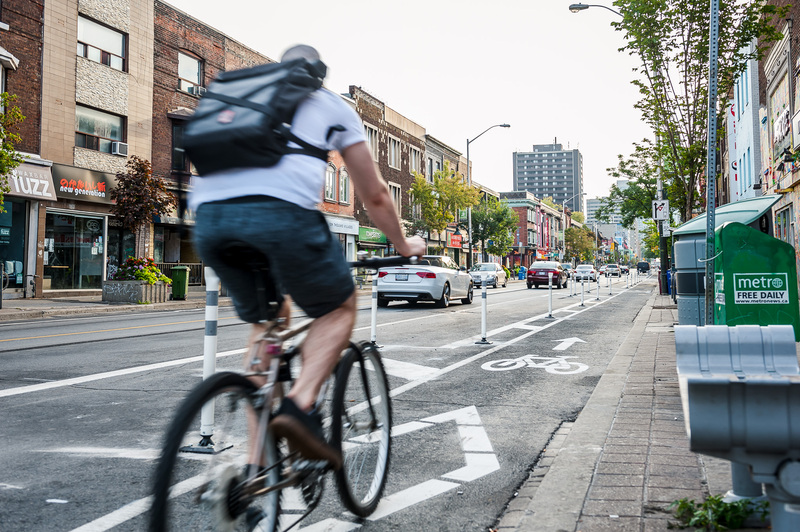 So far, the one-year pilot project has seen cyclist use of the corridor noticeably increase, says James Barr, project manager at Miovision and lead on the Bloor St. project. It has also generated positive feedback from the public, he added. Bloor Street bike lane in use. “So far, we’ve seen usage [of the corridor] definitely going up, although we don’t have any exact preliminary figures because the project is not done yet. We’ve also been hearing some great feedback from the public, who are the reason we’re doing this,” Barr tells IT World Canada. Miovision uses cameras and analytics technology in combination with manual quality checks to capture and process everything from volume of traffic, classification of different types of vehicles, such as cars, trucks, bikes and pedestrians, as well as the types of movements they make. The city is also doing an economic study looking at whether an increase in bicycle and foot traffic impacts businesses in the area, and a safety study in partnership with the University of Toronto (U of T) that is analyzing the potential conflicts that could arise between different actors. “We’re working with the city to quantify the data so the city is able to measure the impact of the project. We’re also working with U of T to help provide more insight into the safety data that’s being collected on the relative potential of an interaction between vehicle and cyclist or pedestrian being a negative one,” Bar explains. The city has been looking to increase its use of data and analytics to improve Toronto’s traffic issues since Mayor John Tory took office towards the end of 2014. 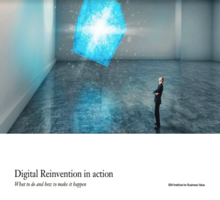 Data will be available online through the Miovision Central platform, which collects all the company’s data and is free to use. Barr says information from the Bloor St. pilot will be released as a report at the end and will help the city make a decision on whether to keep and improve this infrastructure, or revert back to the original state. 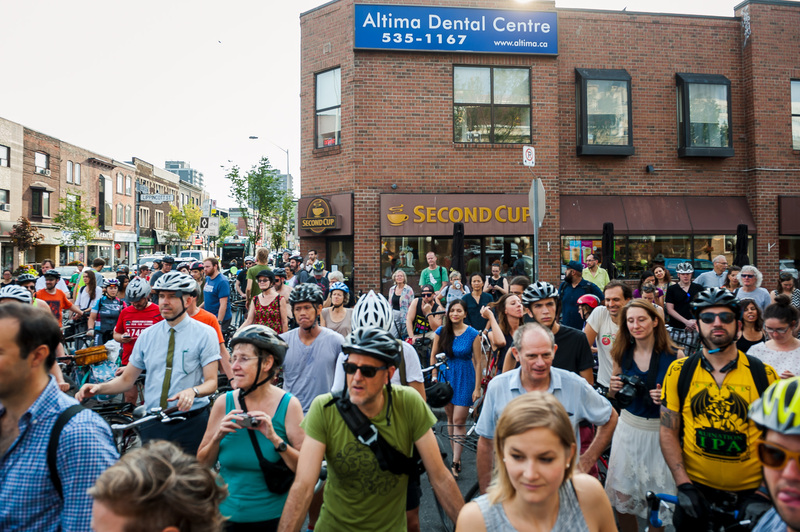 A crowd of cyclists and pedestrians on Bloor Street. He expects the transportation department to present the report to city council in Q3 2017.